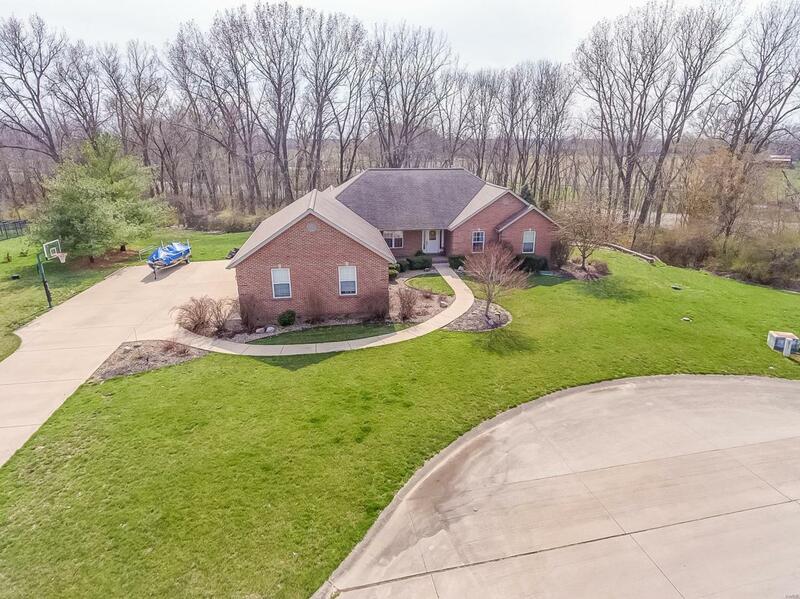 Wanting to be out but not to far and enjoy fishing, then this may be your next home. 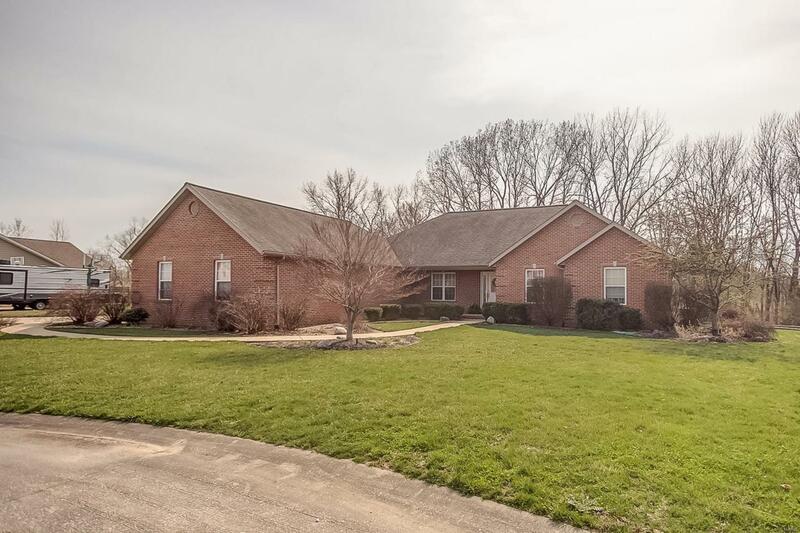 3 sided brick ranch home located in a private 45 acre lake community just outside of Freeburg. Main level has an open floor plan that that is perfect for entertaining. Spacious living room with gas fireplace that is open to the dining room and kitchen/breakfast area, all with wood flooring. Lots of cabinet and counter space plus a nice pantry. 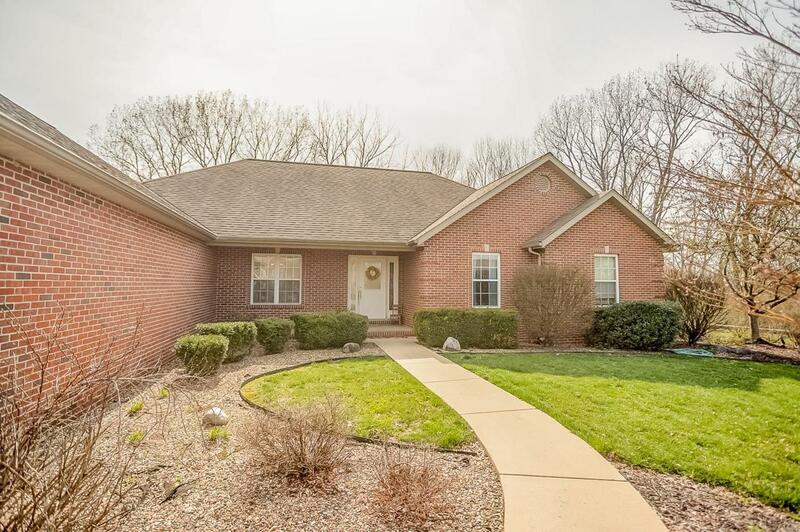 Large master bedroom en suite w/8x10 walk-in closet, jetted tub, sep shower and dual sink. 2 more bedrooms, full bath, laundry rm, and half bath are all on the main level. Walk out lower level has a family rm, exercise rm, media rm, bedroom and plenty of storage space. Family rm in lower level has a beautiful bar for extra entertaining. 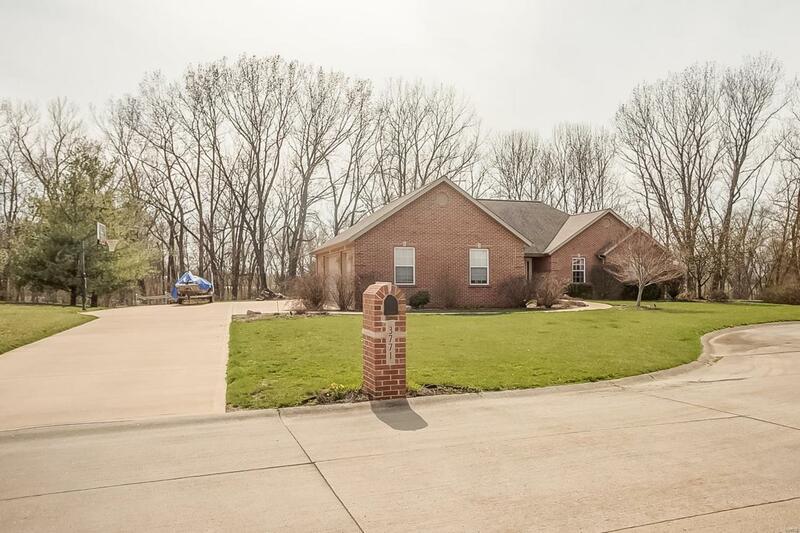 13x14 covered deck overlooks private backyard plus a paver patio on the lower level . Other amenities are: plastered walls, central vac, access to the private 45 acre lake, extra deep 3 car garage and so much more.